5 axes, tufting and trimming CNC Brush Making Machine. HS40-15A has the functions of tufting and trimming fibers. It is designed for high speed tufting of short filament brushes such as washing brushes. It has innovative structural design which improves greatly the safety and stability of the machine. Functions of tufting and trimming filaments are done at the same time so as to reduce the production process. It is controlled by computer and has an English display. It can show precise failure information and has auto-shutdown function. 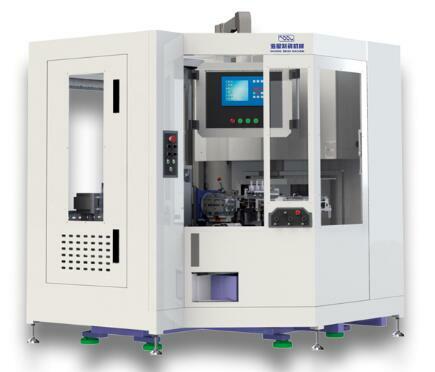 The machine provides easy and convenient operation and maintenance. Looking for ideal Brush Tufting and Trimming Machine Manufacturer & supplier ? We have a wide selection at great prices to help you get creative. All the Washing Brush Making Machine are quality guaranteed. We are China Origin Factory of High Speed Washing Brush Machine. If you have any question, please feel free to contact us.